When comparing prices on power cord rental in San Jose, Hollister and Santa Cruz, ask about sales tax and environmental fees. Cord has 10gauge wires with L14-30 4-prong 30amp Twist-lock Plugs. 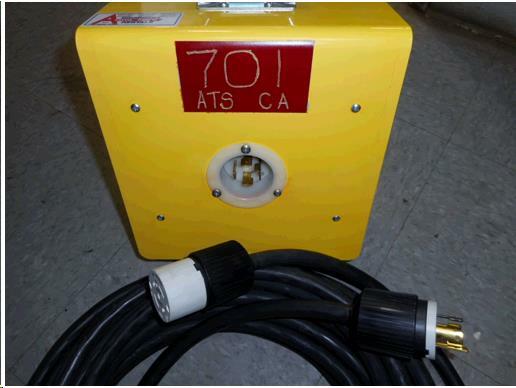 For connection between 6000watt Generators and Small Electric Tempower Boxes. 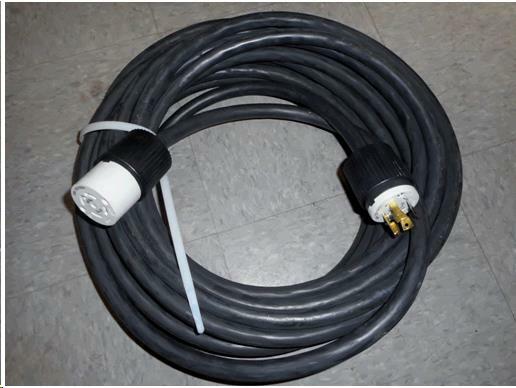 * Please call us for any questions on our 50 foot 240 volt 30 amp cord rentals in San Jose, Campbell, Salinas, Santa Cruz, Watsonville, Morgan Hill, Hollister, Santa Clara, Gilroy, Milpitas Sunnyvale, Fremont, Salinas, the Greater Bay Area and the Monterey Peninsula.